A pair of cryptocurrency and blockchain industry insiders made some bold predictions about the disruptive potential of blockchain technology in recent days. On Saturday, founder and CEO of Block.one Brendan Blumer tweeted that bitcoin may soon make gold obsolete as a store of value. Bitcoin prices have tanked since peaking at nearly $20,000 in late 2017, and it now trades at around $4,070. Still, bitcoin is by far the largest and most valuable cryptocurrency on the market today with a market cap of $71.6 billion. Ethereum is a distant second with a market cap of just $14.7 billion. Block.one’s currency, EOS, is fifth-largest with a market cap of $3.4 billion. If Blumer’s prediction is correct, bitcoin will have tremendous upside in the years ahead. The current value of the world’s gold supply is $7 trillion. Even after all 21 million bitcoins are mined, the price of a single bitcoin will need to top $330,000 to fully match the value of the world’s gold. Tim Draper, venture capitalist and founder of Draper Associates, also said in a recent interview that cryptocurrency won’t stop at disrupting the gold market. “The great thing about cryptocurrency is that it is not tied to a government. Governments control you by controlling your currency,” he said. However, in the future, Draper said cryptocurrency will help citizens around the world avoid that centralized control. “I am bullish long term because I believe that no one will want to hold onto a currency that’s tied to a government,” he said. Draper, who was an early investor in companies like Tesla, Inc. (NASDAQ: TSLA), Hotmail and Skype, pointed out that countries like Japan are already taking the lead in allowing bitcoin to be a natural currency. “And that attracted people to Japan, it attracted entrepreneurs, businesses, money,” he said. Draper reportedly earned $89.1 million by investing in bitcoin starting back in 2014. 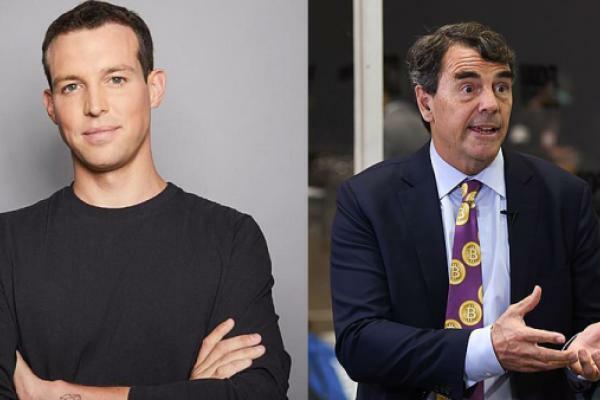 Draper and Blumer will both be discussing their views on the future of cryptocurrency and blockchain technology at the upcoming SALT Conference in Las Vegas starting on May 7. After a massive run-up in 2017 and a huge sell-off in 2018, the price of bitcoin has stabilized so far in 2019. Year-to-date, bitcoin prices are up 6.2 percent, while the price of EOS is up 43.5 percent. The Grayscale Bitcoin Trust (OTC: GBTC) is up 26.1 percent in 2019.